On November 16th, 2018, Stream101 signed an agreement to be acquired by Overwatch Data Services (ODS). Overwatch Data Services is a Michigan-based Managed Services Provider and also owns Manage1to1, a web-based utility for School Districts to manage their Portable Device Deployments. This acquisition will enable significant investment in feature innovation and will support growth in research, new services, and staffing in Grand Rapids, Michigan, USA where Stream101 will now share a headquarters with Overwatch Data Services. Established in it’s current form back in 2007, Stream101 has provided one of the most reliable and affordable Streaming and Web Hosting service platforms. 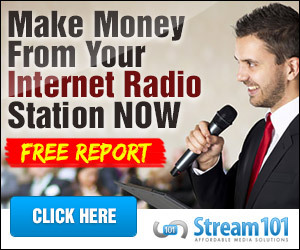 Specializing in ICEcast and SHOUTcast hosting, Stream101 has been providing internet radio stations, terrestrial radio stations, and hobby broadcasters with excellent service for over 10 years. Stream101 also offers cPanel Cloud web hosting on the amazing platform.